ezbuy is not a strangers among Ecommerce Store online shopping platform , ezbuy is created to provide professional online shopping services that established in 2010 by a group of aspiring entrepreneurs , ezbuy become Singapore’s first and largest overseas shopping platform in short while . 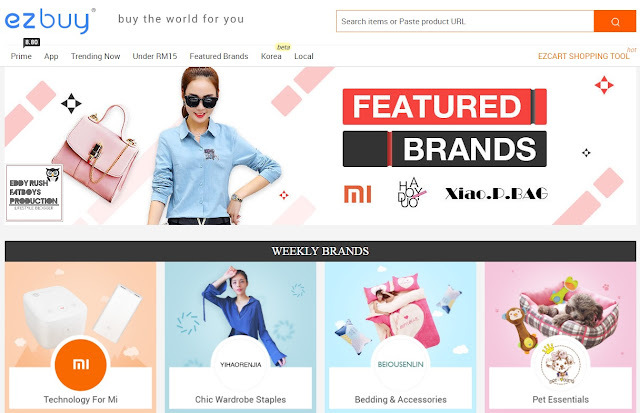 ezbuy Or 65daigou been recommended by News channel , entertainment media and also in Social Media . 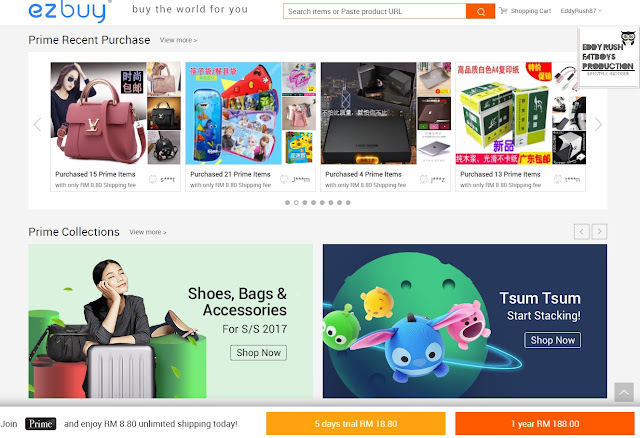 ezbuy provide shopping service from China , Taiwan , USA and new* korea for Business Coverage in Singaporean , Malaysian , Indonesia and Thailand . ezbuy Trying their best to provide excellence service while keep focusing more on local demands . 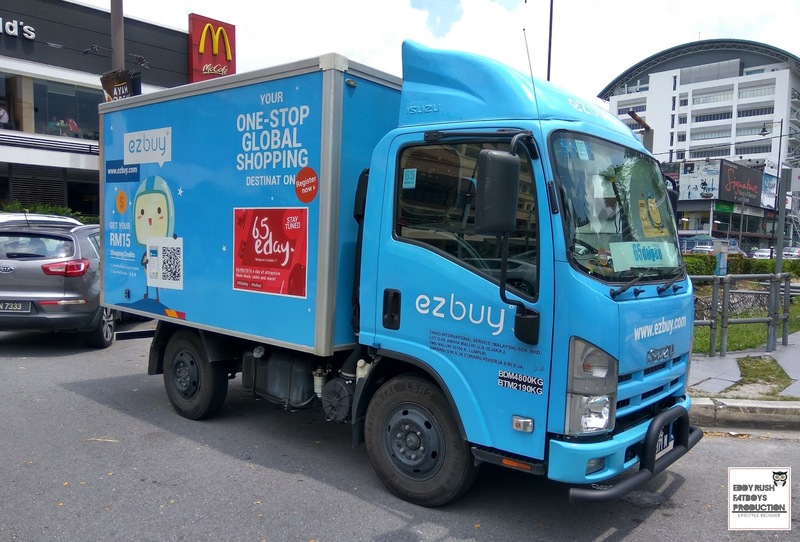 ezbuy would like to transport anything or everything to everyone that their serve . Nowadays not like those days , Technology makes life easier , service brings more comforts and dedicated to provide better service , ultimately , ezbuy hope everyone can create better lifestyle , simple and convenient . 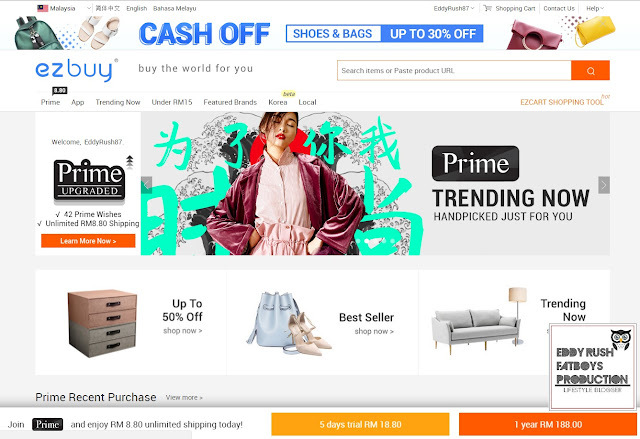 As Prime Member you get RM8.80 flat shipping Fees Regardless of parcel size , weight & quantity , Everything only for RM8.80 . Annual Memebers will receive 42 wishlist entries , 6 upon sign up & 3 every month and Wide range of Prime products . Even it's 20kg but It's RM8.80 For Shipping Fees . Now ezbuy have new trending Collection online , K-pop fever has hit Malaysian roughly seven years ago with many Malaysians falling for all thing About Korea , at ezbuy the all new Korean product platform sells Foods , Fashion and beauty products . 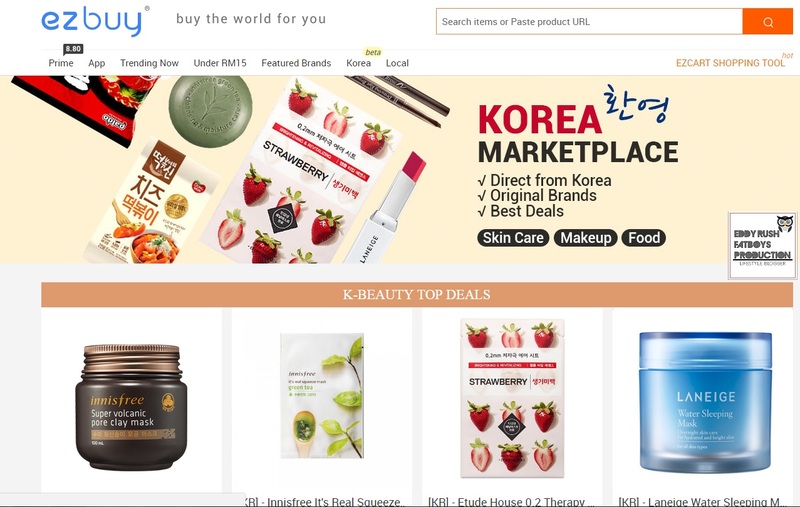 Visit the Korea marketplace : https://ezbuy.my/Promotion/korea-marketplace . Everything is direct from Korea , Foods From instant Noodles to Snacks and even Beverage , Wide rage for fashion from adults to kids wear . 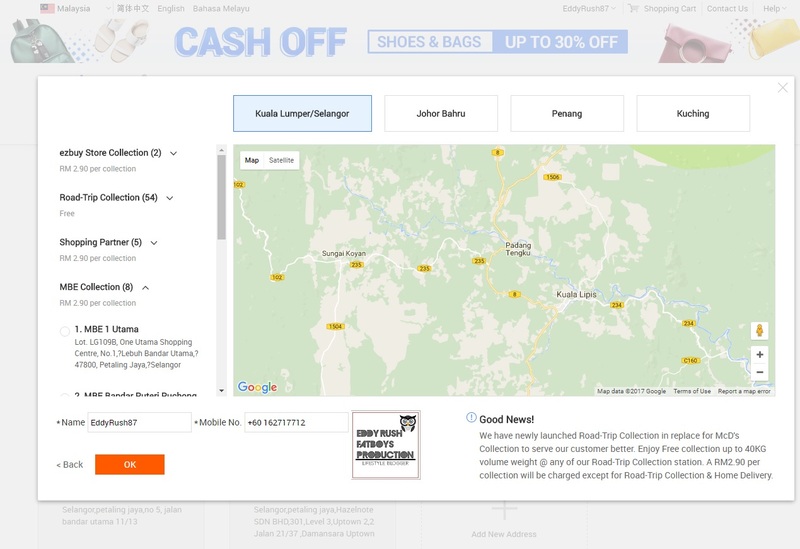 Local Self - Collection Service (FREE) , Over 100 collection stations available in Klang Valley , Johor Bharu , Sarawak and Penang . 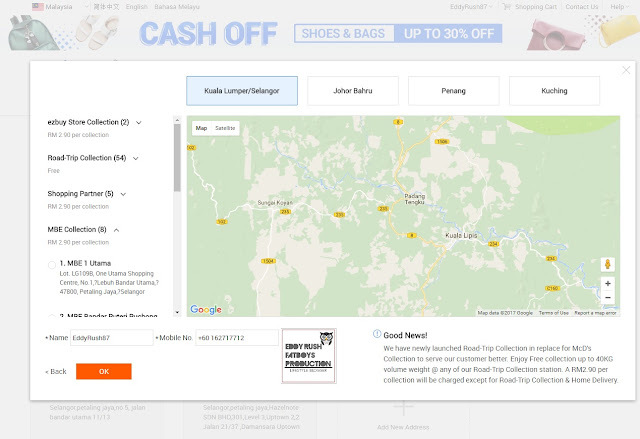 Lowest home Delivery across Malaysia charges west Malaysia RM8 And East Malaysia rm12 . 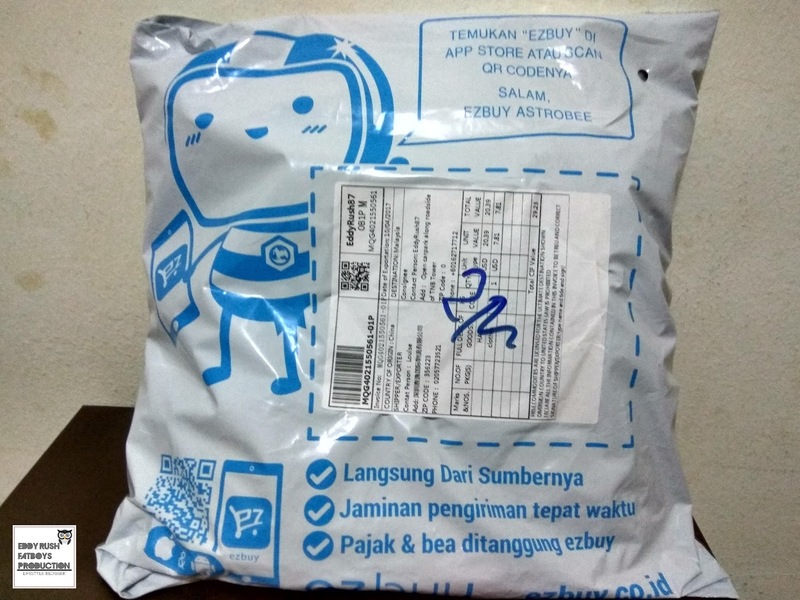 Collected My parcel at Centrepoint Bandar Utama , Friendly guy checked the detail and passed my parcel . It was so Free of charge and convenient .